Parents often stress about whether to send their children to a day care school or not. The truth is that most children benefit from day care, even those who have stay-at-home moms or dads. While there are numerous advantages associated with day care, we’ll highlight a few main ones in this article. If you stay at home all day with your child, he’ll only learn to interact with you. When he does get into a group, he may be completely lost. In contrast, children who attend a day care school quickly learn how to make friends, assert themselves, and how to socialize. Obviously, squabbles occur, but the good thing about these is that the children learn how to resolve conflict on their own. If a child has been with you day in and day out then, all of a sudden, has to attend kindergarten for a whole day, this can be very traumatic. But, if she has attended a day care school, she’ll be used to being away from you for part of the day. She will look forward to coming home to tell you about her activities and new friends. 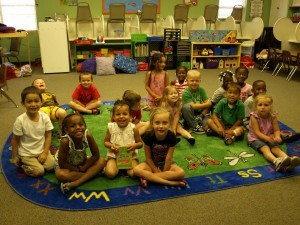 Moreover, day care schools often teach children the alphabet and numbers, which gives them a head start at kindergarten. You could even consider sending your child to a day care school twice or three times a week. Not only will this prepare him/her for real school, but it’s a nice break for you too. Some down time will do you good!